A new surveillance plane is set to help monitor fisheries and catch illegal activity in the waters off Vancouver Island. 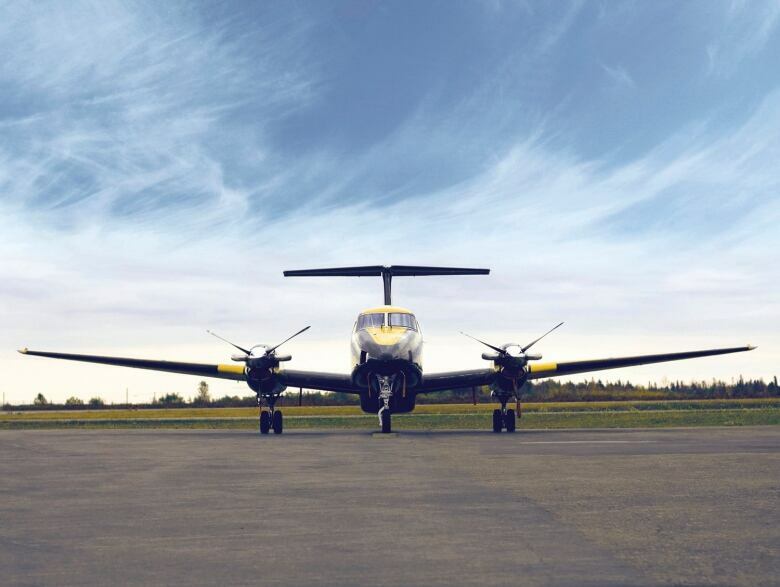 Contracted by Fisheries and Oceans Canada, the aircraft will be based out of Campbell River Airport. A new surveillance plane is set to help monitor fisheries and catch illegal activity in the waters off Vancouver Island. Contracted by Fisheries and Oceans Canada (DFO), the aircraft will be based out of Campbell River Airport on the island's east coast. It's one of three new bases from which Canada's coasts will be monitored, with the others in St. John's and Halifax. 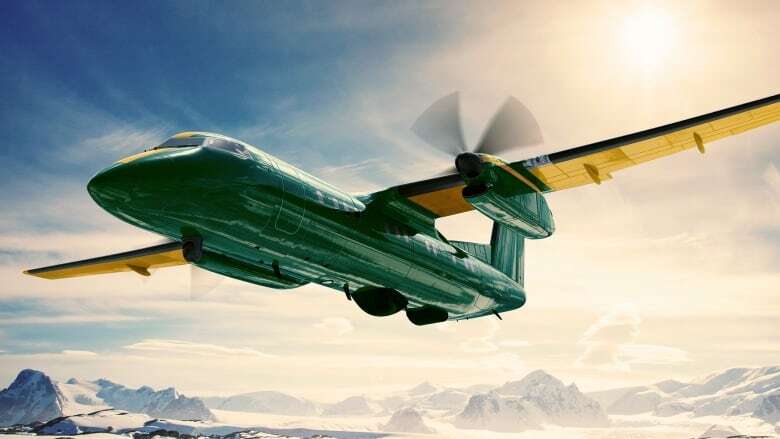 "If there is overfishing taking place, there's an opportunity to capture that activity and pursue those who are breaking those laws," said Joseph Galimberti, senior vice-president of PAL Aerospace, which was recently awarded the federal contract to operate the planes. 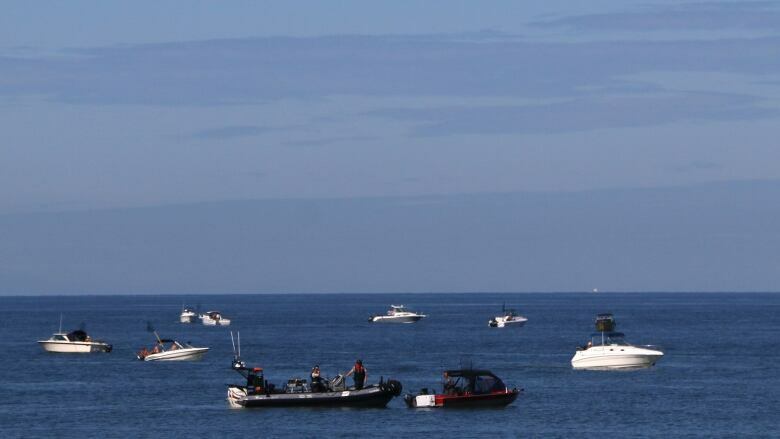 In addition to catching illegal fishing, the planes can also gather information about vessel movement, environmental conditions, pollution levels and species. "The technology that we provide allows for a tremendous amount of data to be amalgamated," Galimberti told Gregor Craigie, host of CBC's On The Island. "Having crews in the air and having that sort of ability to to gather and distribute information … is tremendously advantageous." The aircraft company will bring 15 to 20 staff members to Campbell River to operate the plane, and DFO crews will be on the flights to do the monitoring and surveillance. Originally, PAL Aerospace was operating aircraft out of Comox, about 50 kilometres south of Campbell River. DFO officers inspect a sport fishing boat near the mouth of the Fraser River in 2017. The move means there is more space for running the operation and puts the base at a better location, right at the at the south end of Discovery Passage. Campbell River is sometimes dubbed "salmon capital of the world" because of its marine life. "Campbell River is just a little bit more advantageous in terms of how much Canadian coastline we're able to cover from that location," Galimberti said. The new contract is set to start in 2020, with a new hanger being built at Campbell River Airport.